Transparency International : Through more than 100 national chapters worldwide and an international secretariat in Berlin, Transparency International works with partners in government, business and civil society to put effective measures in place to tackle corruption. Afrobarometer : Afrobarometer is a pan-African, non-partisan research network that conducts public attitude surveys on democracy, governance, economic conditions, and related issues across more than 30 countries in Africa . Because we suspect corruption is one of the most important obstacles to the improvement of welfare of populations in West Africa and beyond and a permanent threat to the effectiveness of the states of the region and to core values of their societies. It is also a complex phenomenon which needs to be analysed in its various dimensions in order to formulate sensible and practical recommendations. 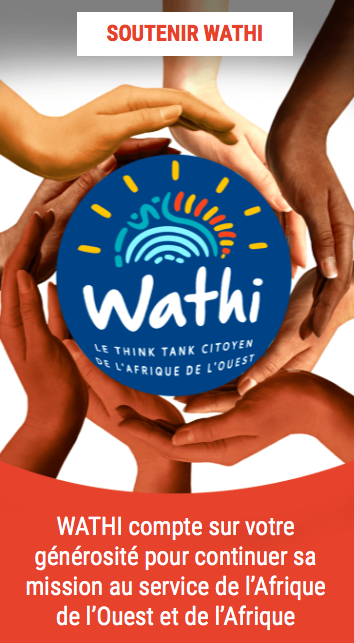 This report provides updated information on the perceptions of corruption in Africa based on a survey in 28 countries, including 14 from the WATHI Zone. Two of the countries out of three where corruption is on the rise (Ghana and Nigeria) and the three countries with the smallest proportion of respondents believing that corruption increased (Burkina Faso, Côte d’Ivoire and Mali) are from the WATHI Zone. Senegal and Cape Verde are the only countries from the Zone where there are low levels of corruption in the public sector institutions. Senegal is the only one where citizens are satisfied with the efforts of the government to curb corruption. There is still much to do for the governments of the countries of the region, and the recommendations of this survey indicate paths for action. Despite this, turning back corruption is possible. But the main finding of this report is that there is a clear disparity between a few strong performing countries in regard to anti-corruption and the many weak performers on anti-corruption across the continent. When comparing the results of the different countries that were surveyed, people living in South Africa, Ghana and Nigeria were the most likely to say that they think corruption has risen in the 12 months prior to when the survey was conducted. In these countries three-quarters or more of respondents said corruption has increased either somewhat or a lot. The three countries which had the smallest proportion of citizens saying corruption has risen were Burkina Faso, Cote d’Ivoire and Mali – less than one-third of respondents answered that corruption has increased in the past 12 months. Looking specifically at the country-level results, few governments were rated as doing particularly well at cleaning up government. In only three countries did a slightly greater proportion of citizens say that their government was doing well than said they were doing badly – Botswana, Lesotho and Senegal. In Benin, Liberia, Nigeria, South Africa and Zimbabwe people think poorly of their governments’ anti-corruption efforts with around four-in-five saying that their government is doing badly. The risk of having to pay a bribe varies tremendously by country. Liberia has by far the highest rate of bribery of the countries that were surveyed, with 69 per cent of people who came into contact with at least one of these six services having paid a bribe in the past year. This is followed by Cameroon, Nigeria and Sierra Leone which were found to have high bribery rates of between 41 and 48 per cent. Cote d’Ivoire, Ghana, Guinea, Kenya and Uganda also have bribery rates that are far higher than the regional average. Looking at the country-level bribery rates for public services, the results show that they are comparatively clean in Botswana, Burkina Faso, Cape Verde, Lesotho, Mauritius, Namibia, Niger, Senegal and Swaziland, when compared with the regional averages. On the other hand, bribery is reported as rampant across all of the public services in Cameroon, Ghana, Guinea, Liberia, Nigeria, and Sierra Leone, where all the services have much higher bribery rates than the regional average. Citizens across the continent clearly differ in how serious they deem the extent of the corruption challenge to be, with those in Botswana, Lesotho, Senegal and Burkina Faso giving more positive responses about the state of corruption in their country, while those in Sierra Leone, Nigeria, Liberia, and Ghana hold deeply negative views. In between these two extremes other countries are experiencing specific corruption challenges, such as high prevalence of bribery (for example in Cameroon or Cote d’Ivoire) or extremely negative assessments of the government’s anti-corruption efforts (for example in Benin, Madagascar, South Africa and Zimbabwe). 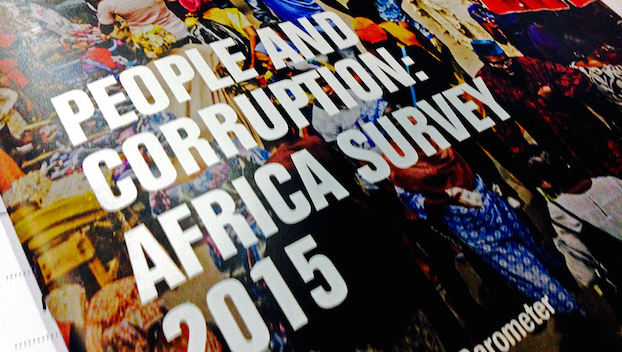 Across Africa the survey showed that it is the poorest people who are hardest hit by corruption as they are almost twice as likely to pay a bribe compared with more affluent Africans. Public sector graft presents an unacceptable burden for people who are already struggling to afford basic necessities like putting food on the table or accessing medical care. Transparency International thinks that tackling corruption and reducing poverty go hand in hand, and wants governments across the region, and in other parts of the world, to include accurate anti-corruption measures and metrics as part of implementing and tracking progress on their Sustainable Development Goals strategies. UN Convention signatory countries must actively support and use the results of the next Convention review cycle, which will look at related policies to prevent corruption and support asset recovery. The African Union and its members must provide the political will and financing needed to implement the review mechanism established for its anti-corruption convention. Governments must end impunity in their countries – whether in government, companies or organisations – by effectively investigating and prosecuting cases and eliminating the abuse of political immunity. Governments must strengthen and enforce legislation on politically-exposed persons and anti-money laundering to curb the high volume of illicit flows from the continent. Governments must end the secrecy around who owns and controls companies and other arrangements which enable collusion, self-dealing or deception in government processes, such as procurement. Governments must show a sustained and deep commitment to acting on police corruption at all levels by promoting reforms that combine punitive measures with structural changes over the short- and medium-term. Companies need to transparently report their operations, activities and revenues on a country-by-country basis to build public trust and dispel perceptions of corruption. Governments must effectively include anti-corruption measures and metrics as part of implementing and tracking progress on their Sustainable Development Goals (SDGs) strategies. Governments must invest in measures to strengthen access to justice and the rule of law in their countries, such as ensuring an objective and transparent process for appointing judges, protections for judicial salaries and working conditions, and clear criteria for case assignment. Governments must create safe and effective conditions for the involvement of civil society in anti-corruption efforts, including their de jure and de facto operational and physical freedom. Governments must establish right to information and whistle-blower protection legislation to facilitate the role of civil society in making public institutions more transparent, accountable and corruption-free. How many people paid bribes ? The survey asked people whether they had come into contact with six key public services – public schools, public healthcare, the police, courts, for official documents or for utilities – in the previous 12 months. For those who had come into contact with these services, they were asked whether they had paid a bribe, given a gift or provided a favour in order to get the services they needed. The results show that while there is a big problem with bribery in the region, it is not an endemic feature across the continent, with a small number of countries reporting very low rates of bribery. Across the region 22 per cent of people who came into contact with at least one of the six public services in the past 12 months admitted that they paid a bribe. However, the risk of having to pay a bribe varies tremendously by country. Liberia has by far the highest rate of bribery of the countries that were surveyed, with 69 per cent of people who came into contact with at least one of these six services having paid a bribe in the past year. This is followed by Cameroon, Nigeria and Sierra Leone which were found to have high bribery rates of between 41 and 48 per cent. Cote d’Ivoire, Ghana, Guinea, Kenya and Uganda also have bribery rates that are far higher than the regional average. Botswana, Mauritius and Cape Verde have the lowest bribery rates in the region, being on a par with low bribery rate countries on other continents (such as in Europe or the USA). Lesotho, Senegal, Swaziland, Namibia and South Africa also have bribery rates that are far lower than the average for the region with less than one-in-ten saying that they paid a bribe. This demonstrates that in a sizeable number of African countries, governments, the public sector and often also vigilant citizens have been able to successfully prevent this problem from significantly affecting public services on an endemic scale. Learning from these countries’ experiences of tackling bribery is key for developing effective anti-bribery approaches that are suitable for the African region. What services are affected by bribery ? Transparency International wanted to find out which of the six key public services are particularly affected by bribery. As the services have different levels of usage (ranging from just 11 per cent of Africans coming into contact with the courts, up to 63 per cent for public hospitals), the results are based only on the responses of those who have come into contact with each service. This allows us to find out which service puts users at most risk of paying a bribe. The survey finds a large difference in the reported bribery rates for the various public services. Bribery is most rampant in the courts and police force, with over a quarter of those who come into contact with each of these services saying that they had paid a bribe (28 and 27 per cent respectively). When coming into contact with utilities services provided by the government (such as water and electricity) or when asking for official documents (such as ID cards and permits), nearly one-in-five Africans paid bribes (19 per cent and 18 per cent, respectively). Schools and healthcare have the lowest bribery rates of the six services, although over one-in-ten (13 per cent and 12 per cent, respectively) of the people who came into contact with these services paid a bribe which demonstrates that this is still an unacceptable burden on many people in the region who use these essential services. Can people make a difference? Generally speaking, people are divided about the issue of whether or not ordinary people can make a difference in fighting corruption in their country. While just over half (53 per cent) answered in the affirmative, almost two-in-five (38 per cent) feel disempowered. Citizens feel particularly effective as potential anti-corruption fighters in Botswana and Madagascar. In these countries 70 per cent of more say that they think that ordinary people can make a difference. The result from Madagascar is particularly interesting given that its citizens were the most critical of their government’s anti-corruption performance, which suggests that although the public perceive the authorities to be not doing enough, they still feel that they themselves could have an impact. The public in Nigeria and Sierra Leone feel the least empowered to help fight corruption in their own countries, with less than two-in-five people agreeing that they can make a difference. People in Benin, Liberia, Niger and Zimbabwe are also very pessimistic. The survey also asked respondents what they think would be the most effective action that people can take in fighting corruption in their own country. Across the region, people generally think that reporting corruption incidents is the most effective action that people can take to tackle corruption (28 per cent). The second most popular action is to refuse to pay bribes, which 21 per cent of people say is the most effective action to take. All other actions were named by 5 per cent or fewer people. Worryingly, almost a quarter of people (23 per cent) were pessimistic about the role people can play in their country in fighting corruption, saying that they thought there was nothing that they could do. Despite the fact that reporting corruption is seen by citizens as the most effective anti-corruption action, among those who have actually paid a bribe (see previous section), only one-in-ten bribepayers (12 per cent) said that s/he reported it. While this is a start, it indicates that much more should be done to encourage people to step forward to report graft when they experience it. To find out what lies behind these low levels of citizen reporting, the survey asked Africans what they think is the main reason why people do not report corruption incidents. The top reasons given were: people are afraid of the consequences (35 per cent) and that it would not make a difference (14 per cent). Reasons indicating a lack of knowledge about how or where to report were collectively mentioned by more than one-in-ten (13 per cent), but reasons regarding lacking resources in terms of time or money were seen as much less relevant. Therefore, resources should be focused on protecting those who report corruption, making existing reporting mechanisms more effective, and awareness raising about how and where to report. The Afrobarometer conducted the survey in 36 countries in total across the Africa region but only the results from the following Sub-Saharan African countries are included in the report: Benin, Botswana, Burkina Faso, Burundi, Cameroon, Cape Verde, Cote d’Ivoire, Ghana, Guinea, Kenya, Lesotho, Liberia, Madagascar, Malawi, Mali, Mauritius, Namibia, Niger, Nigeria, Senegal, Sierra Leone, South Africa, Swaziland, Tanzania, Togo, Uganda, Zambia and Zimbabwe. The 2015 edition of the Global Corruption Barometer question module was implemented in Africa by the Afrobarometer network as part of its Round 6 surveys, in collaboration with Transparency International. All fieldwork was completed using a face to face survey methodology. The survey samples were selected and weighted to be nationally representative of all adults aged 18+ living in each country, and all interviews were conducted face-to-face in the language of the respondent’s choice… The results presented in the report were also weighted so that the sample sizes for each country are equal. The overall regional results are equivalent to an average of all 28 countries surveyed.